BOOK FESTIVAL SPONSORS – THANKS FOR YOUR SUPPORT! PAYSON ROUNDUP: The Rim Country’s News and Information Source. GILA COUNTY BOARD OF SUPERVISORS, 610 E HWY 260, Payson, AZ 85547. 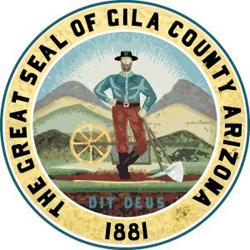 Many thanks to our Top Shelf sponsor, Gila County Board of Supervisors! KPJM 99.7 FM, 200 W. Frontier St., Suite U, Payson, Arizona 85541. 928-468-5756. KRIM 96.3FM, 1104 S Beeline Hwy Payson, AZ 85541. 928-468-5746. LOCAL FIRST ARIZONA, 407 E Roosevelt St, Phoenix, AZ 85004. 602-956-0909. MAZATZAL HOTEL & CASINO, Highway 87, Mile Marker 251, Payson, AZ 85541. Many thanks to our Top Shelf Sponsor Mazatzal Hotel & Casino! MAJESTIC RIM RETIREMENT LIVING, 310 East Tyler Parkway, Payson, AZ 85541. 928-474-3912. 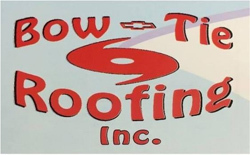 Many thanks to our Top Shelf Sponsor! APS, 613 S Beeline Hwy, Payson, AZ 85541. DECA, Payson High School Students, 301 South McLane, Payson, AZ, 85541. 928-474-2233. KRIM 96.3FM, 1104 S. Beeline Hwy Suite A, Payson, Arizona 85541. 928-978-0356. MOGOLLON HEALTH ALLIANCE, 308 E Aero Dr, Payson, AZ 85541. 928-472-2588. AFFIRMATIVE AIR CONDITIONING, 325 W Southern Ave, Tempe, AZ 85282. 480-659-6908. AIR METHODS, 1301 Aviator Circle, Payson, AZ 85541. 928-231-3978. MILLER AUTO WORKS, 600 W. Main Street, Suite A, Payson, AZ 85541. 928-468-8855. THE OWENS LAW FIRM, PLC, 200 W. Frontier St., Suite L, Payson, Arizona 85541. 928-472-4303. POSTNET, 1000 N Beeline Hwy, Payson, AZ 85541. 928-472-4355. STAR VALLEY VETERINARY CLINIC, 103 Walters Ln, Star Valley, AZ 85541. 928-474-9605. STORY MONSTERS INK, 4696 W Tyson St, Chandler, AZ 85226. 480-940-8182. UNION HOME MORTGAGE, Helen Groom, 480-703-6883. GARDNER’S BOOK SERVICE, 11226 N 23rd Ave, Suite 103, Phoenix, AZ 85029. 602-863-6000. KMOG 103.3 FM/1420 AM, 500 E. Tyler Parkway, Payson, AZ 85541. 928-474-5214. SAWMILL THEATERS, 201 W Main St, Payson, AZ 85541. 928-468-7535. Free to the public, this event promotes literacy and showcases local and Arizona authors representing many genres of fiction and non-fiction. Kids can meet “Story Monster” & enjoy story time. Sponsorships are open for 2019: We invite business community members to help Payson’s book festival succeed and bring visitors to boost Rim Country’s economy. As sponsors, you will have the opportunity to underwrite the children’s element, banners and graphics, marketing and hospitality at different levels. Benefits for your support include promotion on the festival website, in-event publicity and in the program. Download the 2018 PBF Sponsorship Package for more information about sponsorship levels and an application. Contact: info@paysonbookfestival.org or 928-978-5139 for more information. Send completed forms to: APW, P.O. Box 1495, Payson, AZ 85547.